Canucks GM Mike Gillis has made no bones about wanting bigger, smarter players. He proved that last night with his first round selection of Belleville Bulls’ 6’2″ center Brendan Gaunce. Today, he continued with that theme with the selection of 3 forwards and 1 defenseman, all at least 6’1″ and 3 of them having committed to play for the University of Maine, Boston University and Yale. 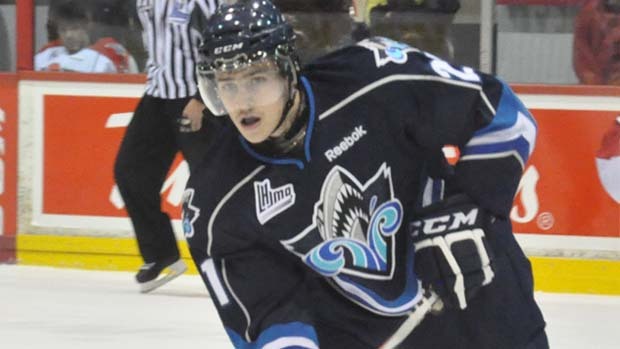 Undrafted last year and unranked this year, Mallet (@LaMalletos_21) is a physical overager who potted 34 goals and 81 points for the Rimouski Oceanic last season. The Hockey Writers: Mallet is not simply a fighter that picks up garbage goals around the net, he can also score beauties thanks to a booming slap shot and soft hands, and his goals often come in bunches. 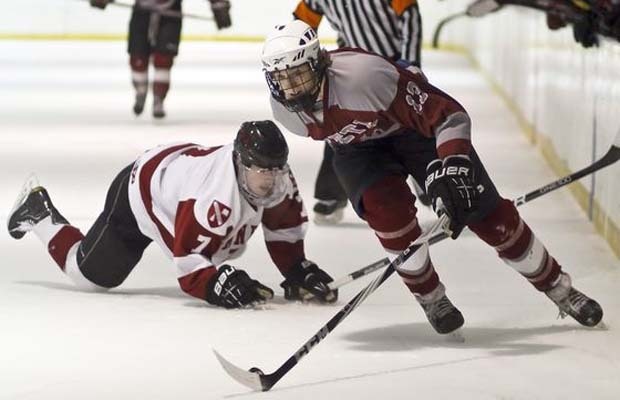 New England Hockey Journal: Older, 1992-born center is like Mitch Moroz: tough, rugged and willing to drop the gloves anytime, anywhere. Although the upside is a bit in question, he has the physical traits and attitude to appeal to the Bruins. The Chronicle Herald: He also went undrafted last year but broke out with 81 points this year, more than quadrupling his 2010-11 totals. Scouts like his offensive potential, but love his physical play even more. Another prospect who was passed over in last year’s draft, Hutton (@bhutt10) captained the Kemptville 73s, led the Nepean Raiders to the CCHL championship, and represented Canada East in the World Junior A Challenge. Ben Hutton, a point-producing 6-foot-3, 195-pound defenseman for the Kemptville (Ontario) 73’s of the Central Canada Hockey League, has verbally committed to attend the University of Maine on a scholarship beginning next fall. Hutton, who plays in all situations, is the team’s No. 2 scorer with seven goals and 19 assists in 30 games. He leads the team in assists and in power-play points with 12 on four goals and eight assists. Malloy said Hutton, who is the team captain, is also a first-class individual. Like Hutton, Victoria, BC native Myron (@Mysie9) played in the 2011 World Junior A Challenge, winning gold while representing Team Canada West. US Hockey Report: Myron, a tall, lanky kid with the frame of an NHL-type center, is a strong skater who has shown a lot of finish in the BCHL. He was #3 on our list of Top Uncommitted NCAA Prospects (USHR News, 10/25/11), following only Seth Jones (US U-18) and Alex Kerfoot (Coquitlam – BCHL). Myron has the potential to be a top two line center for the Terriers, which, should Charlie Coyle opt to go pro (not a foregone conclusion), would fill a very immediate need. An 8/16/92 birthdate and Victoria, BC native, Myron was also sought by UNH and St. Cloud State. Michigan was reportedly beginning to show interest too. Grizz Roar: With 24 assists in 23 games the bigger 6’2” 190lbs Myron is the set-up man, “His passing has always been good and it seems to get better every year and his physical play has improved this year” adds Murphy. Because the Canucks love Ivy League players, they reached out and drafted Yale-bound Beattie (@UnBeatable_13) with their last pick of the 2012 NHL Entry Draft. New England Hockey Journal: But as Exeter is enjoying its best season, record-wise, since its New England championship team of 1998-99, the 6-foot-3 Beattie, a Yale-bound postgraduate, is leading the team in scoring with 28-29-57 totals entering last weekend. That’s even more than the Harvard-bound Hart (21-25-46), who was recently tabbed by Central Scouting as the 60th-ranked North American skater in its midterm draft rankings.